Kerrisdale in West Vancouver! This elegant character home has been beautifully renovated inside and out with spectacular detail. Vintage built-in cabinets in the gracious living room, cove ceilings and beautiful period finishings throughout marry perfectly with modern upgrades that include: a vaulted ceiling with exposed trusses in the family room which open to a fresh cottage modern kitchen with Miele appliances; a professionally designed office/study; fantastic media/party room, complete with wet bar & wine room. Heritage gardens & outdoor living space are stunning & include a custom outdoor stone gas fireplace. Carriage style double garage with bonus art/hobby studio and upstairs loft. 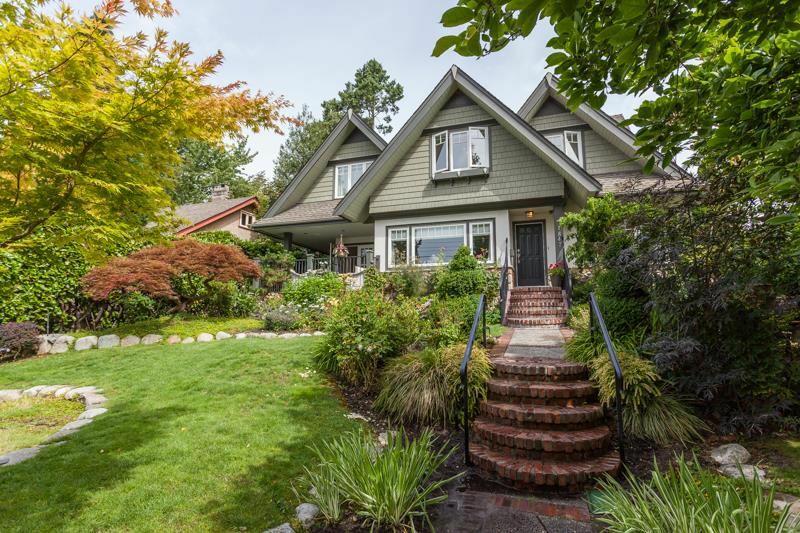 The 'Duchess/Equimalt Enclave' is a rare neighbourhood with community events. Walk everywhere! Beach, restaurants, Library, Rec centre, School, parks.